Smart cities are on their way – and this time they're for real. Disparate aspects of cities are beginning to connect with internet of things (IoT) devices. 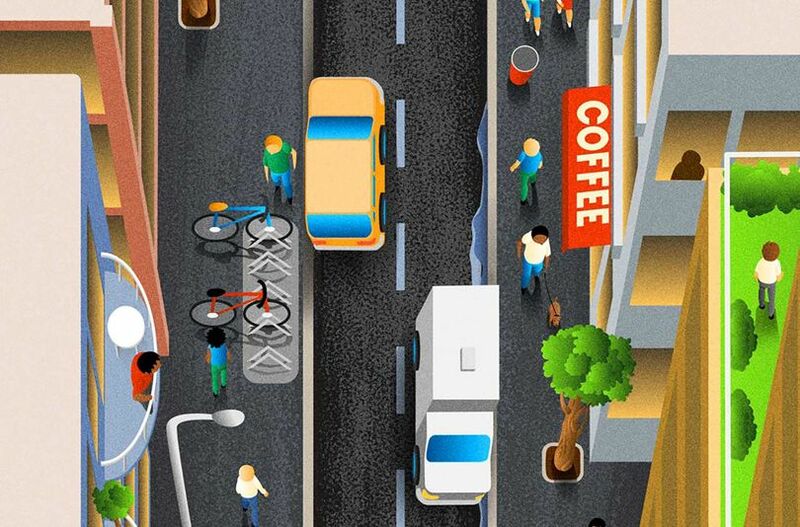 "Projects look at a single system – like transport – but don't link it with say, health," says Steve Turner, head of the Future City programme at Manchester City Council. "The next big challenge for the IoT is to link all the city systems." Manchester City Council launched its CityVerve project in July to connect the city's health, transport, environment and services with 20 kinds of sensors. The data from the initiative – funded by a £10 million prize from the Department for Culture, Media and Sport – will be used to make city planning more responsive. In the meantime, here are some of the standout city innovations WIRED is keeping an eye on. Manchester's CityVerve project plans to install smart bus stops which will be able to let drivers know when people are waiting, and smart lighting that comes on when needed, so it is more efficient with using energy. Portuguese company Veniam wants to turn all vehicles into Wi-Fi hotspots using mesh networks. Porto is the first city to trial this "internet of moving things", with bin lorries and buses broadcasting Wi-Fi. Helping waste and recycling companies operate more efficiently, Finnish startup Enevo's sensors can tell when a bin is full and then plan a route for the collection lorries that takes traffic into account. Barcelona-based Urbiotica is using sensors to change cities' parking. Its wireless sensors provide real-time data on traffic, which has helped reduce congestion by ten per cent in Nice as part of the MOV'Smart plan. More than a keyless lock, BitLock lets cyclists share access to their bike remotely through an app. Developed by San Francisco startup Mesh Motion, BitLock also geotags bikes. The first set of locks sold out in 2015. The Citizen Sensing project in Bristol is working with locals to solve community problems using smart products. Examples include tracking footfall on run-down streets to help shops tailor their services.